Your wedding photos will be the primary reminder you have of your big day and you’ll be pouring over them at every family occasion and anniversary for years to come, so it’s important you’re happy with the results. Read our top tips on perfect wedding photography. In the run up to the wedding, perfect a pose in front of the mirror. 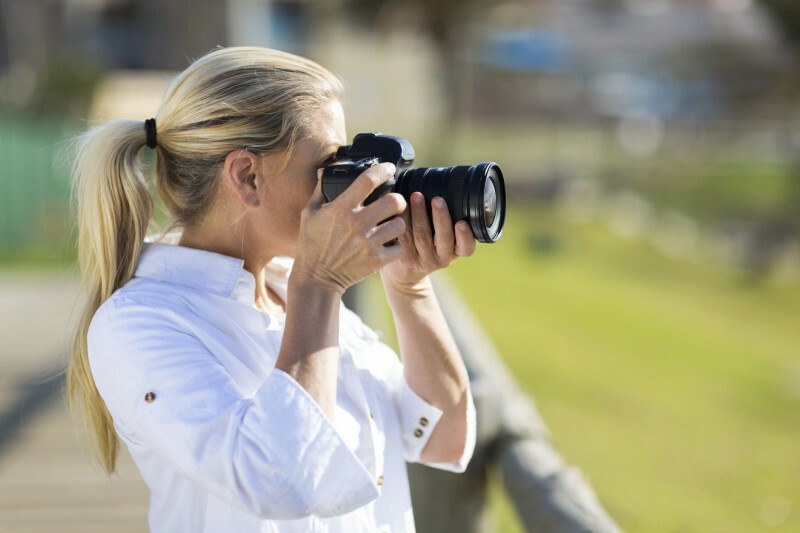 Doing so might make you feel more comfortable and improve the quality of your photographs. Be sure to wear your veil and try out a number of poses. Don’t be tempted to drastically change your hairstyle from how you would normally wear it. You may be horrified at the result. In particular, always consider ‘up dos’ carefully as these can be very severe, not to mention the fact that they hide away your luscious locks. Don’t overdo the spray-tan as overzealous usage might see you looking orange in your photos, especially next to paler members of your bridal party. False eyelashes are great at enhancing your eyes in your wedding photos, so if you can, use them. Remember, less is more when it comes to jewellery. You should be the focal point of your photos, not your accessories. Make a note to avoid darker lipstick shades as these colours will fade as your day progresses. Consider having a second pair of shoes with you when being photographed on location, especially if you will be walking on soil or sand. Your shoes will not be seen under your dress and a second pair might be more comfortable to wear as well as saving your real shoes from getting ruined. Always endeavour to have your hair and make-up completely finished by the time the photographer arrives. Should you be running late, you should instruct your hair and make-up artist to concentrate on you before starting on the bridesmaids. It is best for grooms not to experiment with their shaving routine on the day of their wedding as this can lead to unsightly rashes. Have you considered the benefits of having an ’emergency kit’? Secreted away in this pack should be a powder compact, a bottle of hair spray, a brush, and a lip stick – all perfect for last minute touch-ups. Provide umbrellas for each member of your bridal party in case you are beaten by the Great British weather. While these may be provided by your car hire company, never assume they will be without checking. Be sure to also take along your coat to keep you warm should you be shooting in a particularly chilly climate. This is always good advice for the female members of the bridal party who will only be clothed in lightweight dress and wraps. Help the photographer out by making a list of all the variations of the family photographs you would like and passing this list to a person who knows everyone that needs to be included. That way this relative can help arrange the group photos and ensure the man behind the camera takes every combination you would like. Always listen to the photographer, not least during the family portraits. Don’t be too excited and slow the process down, rather pay attention and follow his lead. The photographer is a professional and may spot something you haven’t. By instructing someone from the bridal party to keep everyone’s mind on the task in hand, you ensure that not only will your photographs look beautiful, they will also be taken much more efficiently.